With our new generation of low frequency heaters, we offer the most efficient heaters for a wide range of applications. Our SureTHERM-series assure a safe heating process, where only the work piece is heated. Our heaters come equipped with a touchscreen interface in multiple languages, providing clear feedback during all heating cycles. The four heating modes (1 Sensor, 2 Sensor, Ramp, and Time) make the SureTHERM a flexible tool in diverse situations. 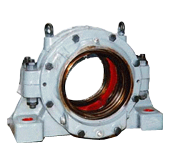 The company can supply Special Bearing Housings either according to reputed Bearing manufacturer's design or as per customer's drawings or tailor made bearing housings. During machining stages, bore diameter is critically controlled within the specified dimensions. Tolerances are also observed on the ovality, taper of the bore and the center height of the Bearing Housings. All the tolerances are in accordance with the International Standards. 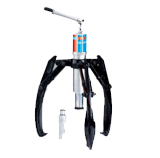 Omarstar hydraulic pullers comes with self contained hydraulic pump which has safety release valve & 360 degree rotatable handle. It can be operated with 3 / 2 jaws combinations. It comes with standard jaws for lower tonnages & cobra jaws having life time warranty for higher tonnages. The pullers are also available in sepearate types wherin a external hose pipe & hand pump is connected. The pullers can also be supplied various bearing pulling attachments. The Company was promoted by three technocrats who were earlier working in the Indian arm of a bearing multinational company. With extensive experience in bearings and allied products, the group began its activities in 1985 with the manufacturing of bearing peripheral tools and later on moved into the manufacturing of "Special Purpose Custom Built Bearing Housings". This being the core area of the promoters expertise, the company soon became a major supplier of Bearing Housings. 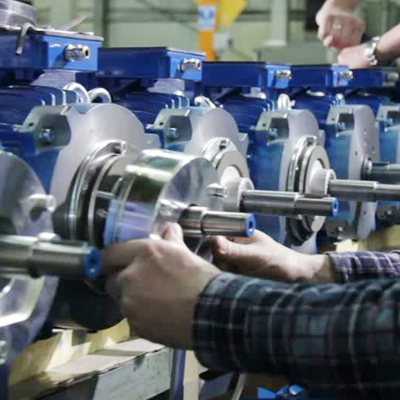 Over the intervening period, the company also added a host of imported Bearing maintenance tools in its Agency division thus becoming a unique hub, which could cater to customers requirements of all Bearing related products. The customer base includes practically all the major, reputed customers from the Public and the Private sectors in India. The Company is managed by the promoters, who have their individual areas of expertise in Design, Marketing, Finance and other areas related to supply of "Bearing Housings". Besides, the company has a team of committed and qualified employees. The commitment is to make a quality product of international standards, the reason why the company has been able to successfully do import substitution in number of cases.